Solanum dulcamera.Gerald D. Carr.Oregon Flora Image Project.www.fs.fed.us. (Accessed 7/2014). Solanum dulcamara is a vine to 3 m long, slender, shrubby climber, scarcely woody, spreading from rhizomes Above ground stems dying back in winter. Roots sometimes associated with mycorrhizal fungi (Waggy 2009). 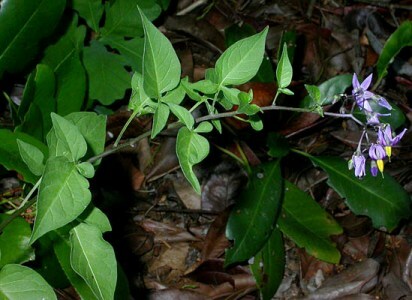 Leaves alternate, to 8 x 5 cm, egg-to heart shaped, often with small basal lobes or leaflets. Flowers purple with yellow anthers, petal lobes to 0.9 cm, in small, branched clusters, May-Sept.
(Kingsbury1964), pulp lipid <10% (White and Stiles 1992). Eaten by many birds which disperse seeds. Foliage eaten by some small mammals (Martin et al. 1951). 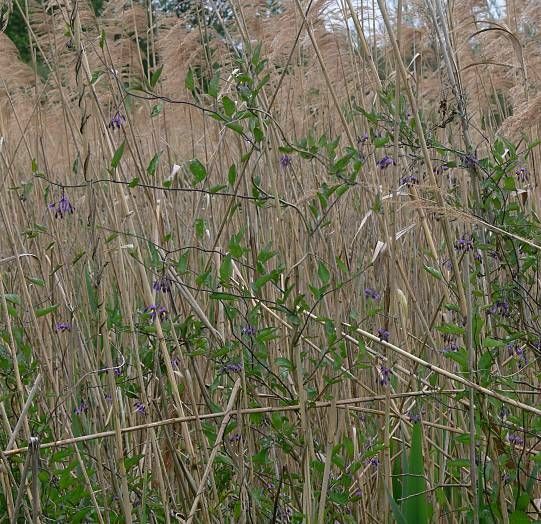 Habitat: Second growth woods, edges of Phragmites marshes, meadows. Usually in moist soil. Shade tolerant (Collins et al. 1985). Notes: Can be aggressive, covering and shading out native plants under some conditions. 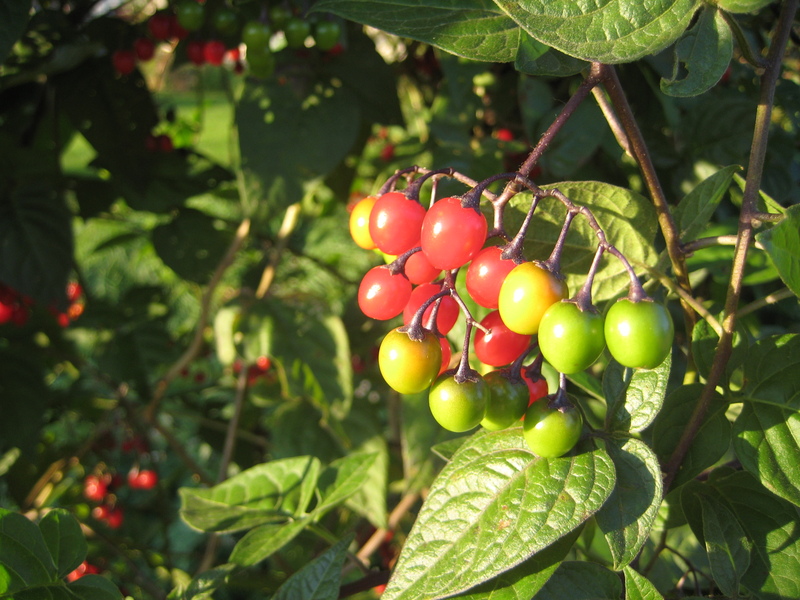 There is some evidence that Solanum dulcamara may have allelopathic properties (Waggy 2009).